Welcome to 2019, the year of the bendy display. We’ve been promised bendable displays for years, and sometimes it seems that they’re just like the dream of the everyday flying car and cold fusion - always just a few years away, but never quite arriving. This year all of that is likely to change, with CES demonstrating a number of devices and some - finally - arriving. The answer to that is, quite a lot. LG recently revealed a 65-Inch TV that hides inside the soundbar﻿. When you switch it on it ‘unrolls’ up and out of the soundbar, presenting a beautiful display. So you could easily place the TV in front of artwork or a window for instance. It’s expected to hit stores in 6-9 months. The Royole FlexPai is an interesting phone that is available for sale now, albeit in a Developer model. The phone has a wrap-around display, allowing you to literally fold it in half and use it as a phone, or unfold it and use it as a tablet. The fold in the middle stays active in both modes. 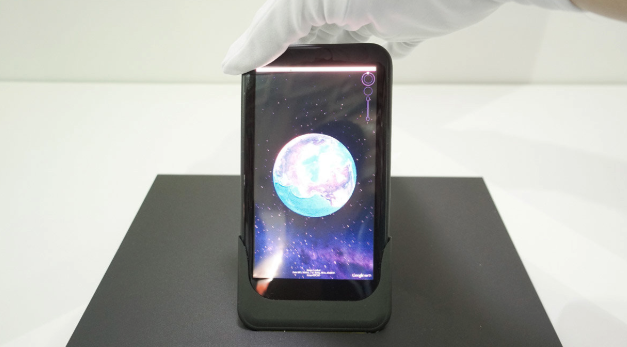 Chinese manufacturer AUO has demonstrated a bending phone with a unique touch, in that the flexing of the phone itself becomes an interaction - used in this example to zoom in and out of Google Earth. It’s not yet clear if that concept will become a consumer product however. Samsung, Nokia, and pretty much every other phone manufacturer out there are working on some form of bendable display. Even white goods manufacturers are looking at how this technology can work with their devices. For example there are strong rumours (as yet unconfirmed) that the Samsung Galaxy X will be available in a consumer model within a few months. This phone potentially uses a sideways clamshell approach, folding out to a full tablet layout. And what does that mean for us, as UXers? So here’s where it gets interesting. 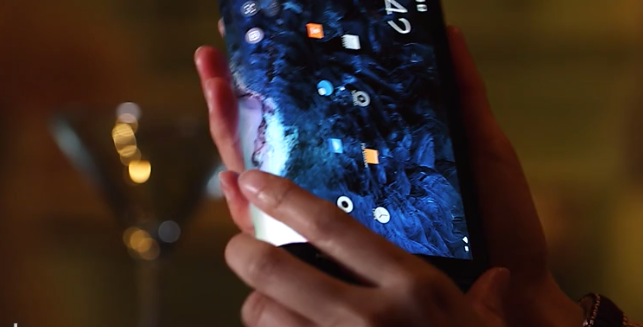 The AUO concept phone shows one example of this, and the FlexPai another - physically interacting with the device is an input mechanism used to control the interface. The AUO concept uses specific bends to zoom and scroll, the FlexPai reacts to a specific bend to switch display mode. Personally I don’t see bending a phone to be very easy or intuitive in terms of an input model - but if the displays are paper-thin (as some may be) then this could easily relate. Certainly it makes sense to consider physically altering the device an input model to control the display. It may have bigger implications for games - there are currently many games that use the angle a phone or device is held at to control movement within the game (such as controlling the movement of a rolling ball). For game devices with a flexible display, I can see how this could be used to control many different aspects of gameplay. It’s relatively straightforward to imagine how we’d define apps and interfaces to display and handle in modes 1 and 2 - although when folded shut the bend component (crease display) could potentially be treated as a side or scrolling separate display, much as the Galaxy Edge attempted to do. But semi-open is going to be an interesting challenge. Where is the user looking? Just what are they expecting to see? Should we treat this as one complete but flexed display, as two, or even three? Or give the user the control to configure that? If you watch the video for the FlexPai you’ll see exactly what I mean. When the device is being folded there are moments when the display glitches and really doesn’t know what to do (or possibly it’s the hardware trying to catch up - who knows!) And what happens with input during the process is another key factor to consider - do you ignore touch input until the physical bending takes place or is completed (which would seem to make sense to avoid launching apps or taking actions that weren’t intended). But if you do, then this can mean long delays in response time, making the device feel sluggish. You may not (yet) be working with a device that is bendable - unless you’re working directly for a manufacturer or in a specific product team, you probably aren’t - but that doesn’t mean we don’t need to consider this. Any website or software or app we’re working on will need to handle behaviour within a potentially 3D bendable device, as of this year. We can choose to ignore these issues - or we can choose to consider the UX implications and dive into the potential right now. There are answers to all of the issues and concerns, and as always it’s going to depend on the technical product, possibilities and devices we get to play with. But any way you carve it this is going to be an interesting year to play with design. Personally I choose to welcome the possibilities - and not let it drive me round the bend. Merry Xmas - Top 5 testing insights in a box!